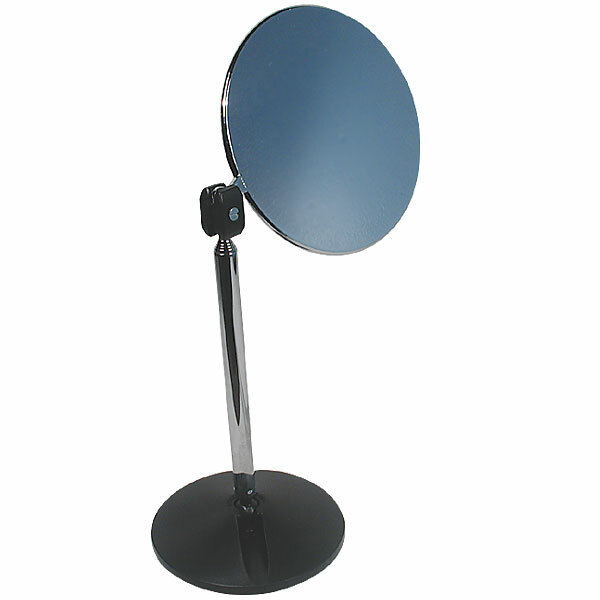 Convenient, functional 4.25 inch diameter double sided magnification mirror mounted on durable telescoping extension rod is great for those with low vision. Optical Quality. 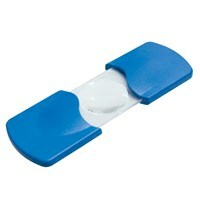 Double-sided - Easily flips from true to 2X magnification. Unbreakable and fog resistant. 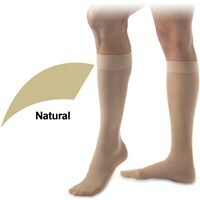 Extends to 30 inches. Swivels 360 degrees. 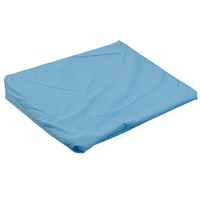 Great for travel - folds down to 8 inches and flat. Includes soft travel case. Perform countless daily tasks more easily - from dental hygiene to shaving to putting in contact lenses. 3 suction cups hold it securely to smooth surfaces (mirror, glass, counter) as the support arm extends out up to 30 inches. Swivels for perfect viewing. Weight- 3.8 ounces.